"Boo eats rotisserie chicken and filet mignon on the regular and is beyond spoiled." 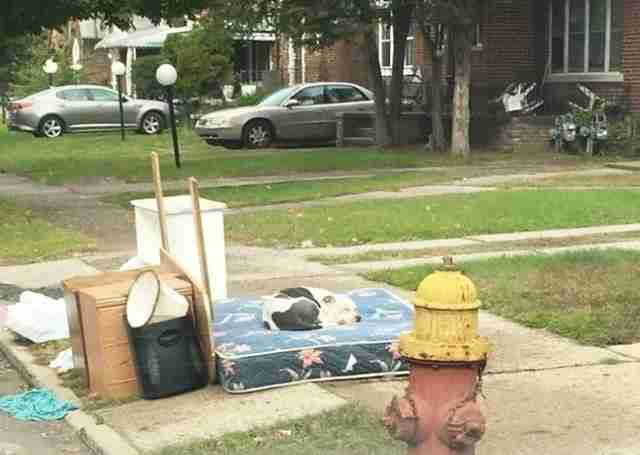 Boo knows loyalty to a T. Even if it led him to the curb outside his former home in Detroit, Michigan. 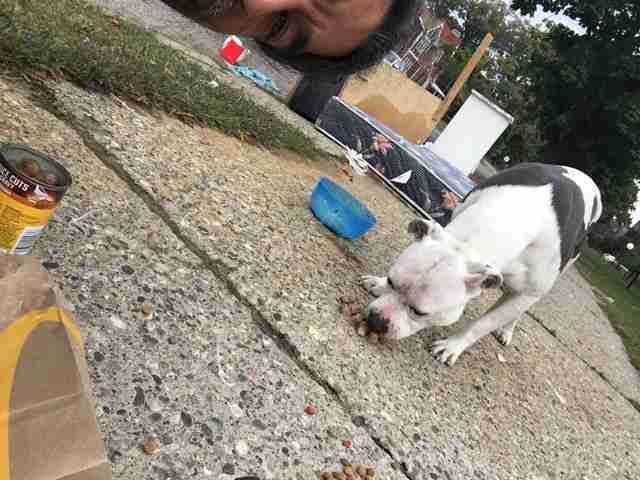 Few could forget the images of this faithful dog whose family moved out and left him behind. 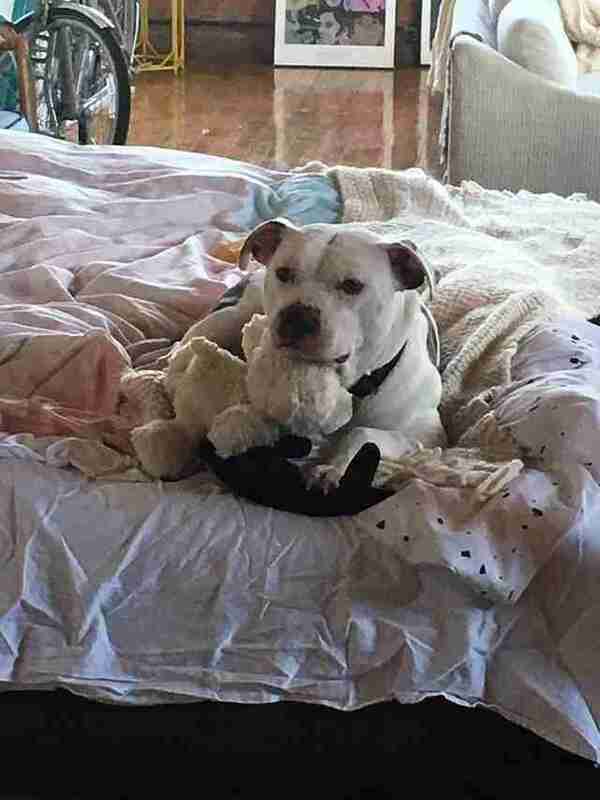 For a month, Boo still clung to his owner's bed, among a heap of broken promises. 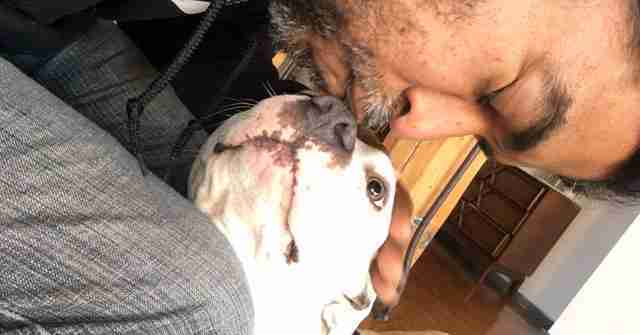 Fortunately, Mike Diesel, founder of Detroit Youth and Dog Rescue, heard about this lonesome dog's plight. "He was just lying there, being his loyal self," Diesel told The Dodo in October. "Pillows were still on the mattress. Being the loyal dog he was supposed to be, he waited for his master to come back." It took 15 hours - and a trail of fried chicken and hamburgers - before Boo finally gave up on his old family and decided to take a chance on Diesel. Although his loyalty may have been badly misplaced, the dog found fresh hope in the man's kindness - and Sausage McMuffins. At the time, Diesel offered one promise: It's going to be all right. 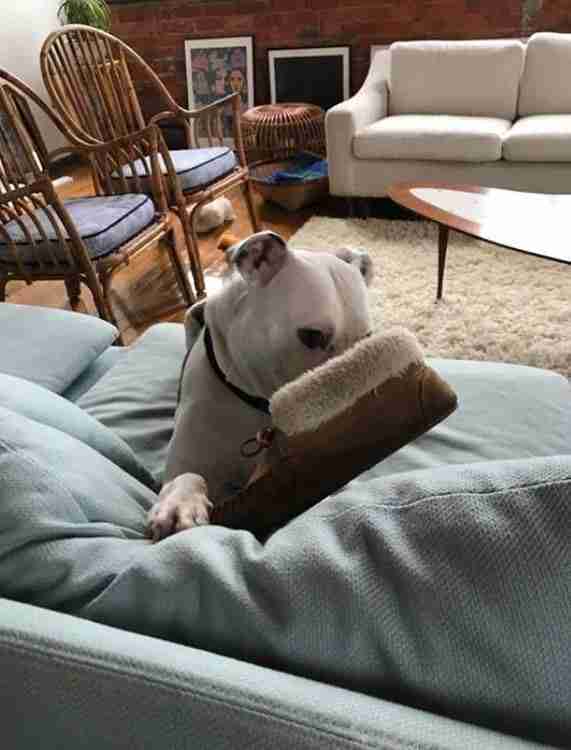 Not long after that, Diesel found his way to a foster home. And it was a happy failure. 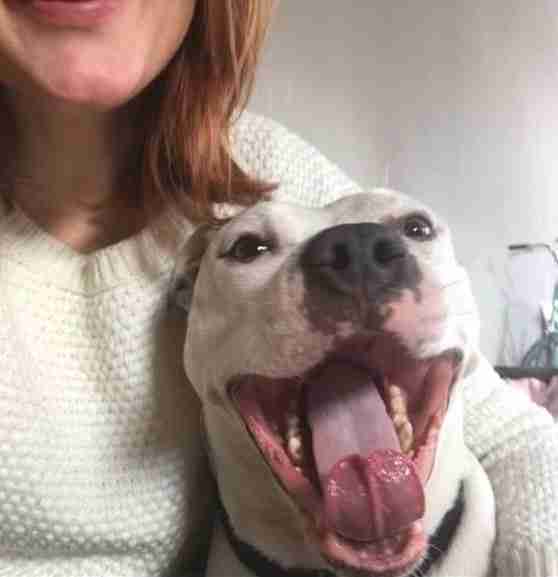 The woman, who also lives in Detroit, couldn't let him go - and will soon be formally adopting him. 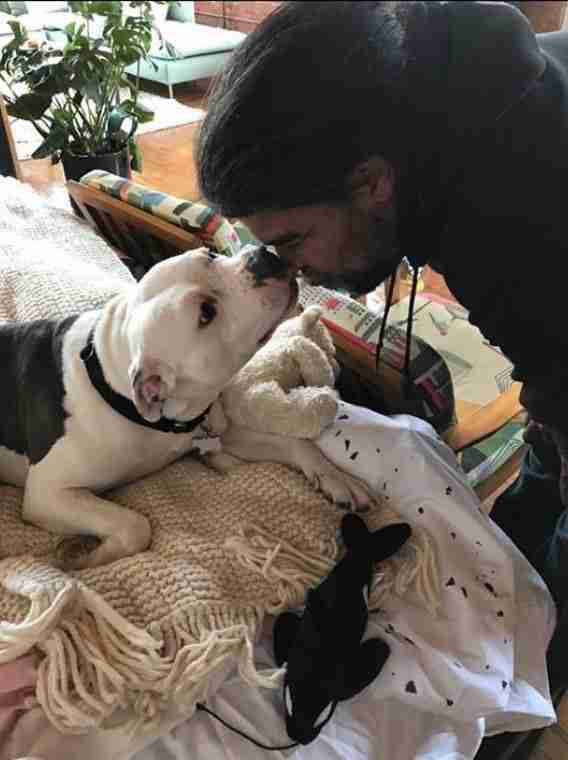 "She is home with him 90 percent of the time and he is simply loving his new life and freedom," Diesel tells The Dodo today. And, of course, the food is an upgrade. "Boo eats rotisserie chicken and filet mignon on the regular and is beyond spoiled," Diesel adds. He's still being treated for heartworm, but with a family at his back, it's no longer an uphill battle. "His recovery is going well," Diesel notes. "And his energy level is way up now that he is feeling better." But Boo keeps a light on for the very special friend he made on that cold curb in October. 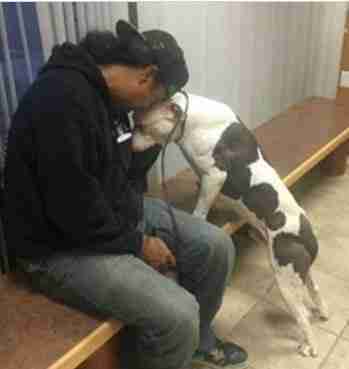 "I've been able to visit him a lot which makes me happy," Diesel says. "I've probably been to see him six to eight times now and he's beyond happy with his new life." And somehow, he's even happier when his special friend comes to visit - the man who kept his promise to a T - and made sure everything worked out all right. If you would like to support this group's mission to save countless dogs like Boo, consider making a donation.